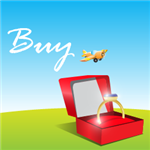 Thinking of buying an engagement ring online? We've done the research and found the top 3 diamond stores for selection, quality, and overall experience. These days, smart shoppers are forgoing traditional jewelers to shop for diamond engagement rings online. You can browse in peace, choose from a wider selection, and get more customization options and often, lower prices. Buying an engagement ring is one of the most important purchases you'll ever make, so you want to choose the best diamond jeweler. Not only do you want your soon-to-be fiancée to love it, you also want your wallet to love it, too. There's a dizzying number of online diamond stores, so how do you select the best one for your ring? Luckily, we have helped you with the research and narrowed it down to our three favorites: Blue Nile, James Allen, and Whiteflash. Each takes a different approach, so you should choose the one that best suits your taste and budget. We'll go over what each diamond retailer offers, how they are different, and any downsides you should know about. Shopping for a diamond ring is no easy task, especially if you're not very familiar with women's jewelry. You may want to start by reading our comprehensive guide on how to buy an engagement ring online first. Price: Unless you have an absolutely unlimited budget (which few people do), cost is going to be a major factor in your purchase decision. You can usually find better prices for diamonds online, since the retailer doesn't have the overhead that weighs down brick-and-mortar jewelers. Remember, there is no one right answer for how much you should spend on an engagement ring. 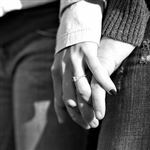 Our best advice is that the ring should cost what you can afford without going into debt but also pricey enough to demonstrate your commitment to the relationship. Amount of data: This is one of the biggest downsides to shopping for diamonds online. You can't see the actual diamond with your own eyes, so you have to rely on the specifications of the 4Cs (clarity, color, cut, carat weight) provided and a photo. Many websites don't even provide an actual photo of the diamond you'll be getting. However, some websites tackle this issue by providing life-like HD videos or imagery that the pros use to help you be more confident in your purchase. If being able to "see" the actual diamond you're purchasing is especially important to you, you'll want to buy from a site that offers those features. Selection: A bigger selection of diamonds gives you a bigger chance of finding the one you want that's also within your budget. It also means you'll have more flexibility in customizing the perfect ring exactly how you like it. Tip: Don't get ripped off buying diamonds online. Always go for a GIA certified or AGS certified diamond. Customer service: This is an important factor, especially if you know very little about diamonds and need the help of a professional. Being able to call, live chat, or email a pro when you have questions can be a huge advantage. Additionally, buying a diamond engagement ring does come with risk (whether it's online or at a local jeweler), so you want to make sure you can easily return it if anything goes wrong. You should decide which of the above factors are most important to you - price, data, customer service, or perhaps some other priority. Each website we're featuring below has strengths and weaknesses in relation to these categories. James Allen wins our title of best ring shopping experience hands down. The whole website is extremely user-friendly, even if you're intimidated by the process of shopping for a ring. James Allen provides an unmatched online shopping experience with its "Diamond Display Technology." This feature allows you to view a 360-degree, high-definition video for every single diamond in their collection. And if you create an account (which is free), you can access a "super zoom" feature to examine the diamond with the tools of a professional jeweler. This helps alleviate the fear of buying a diamond online as you can see the actual stone you'll be purchasing. Another aspect of James Allen's excellent shopping experience are their endless customization options. Do you want a specific engagement ring style? James Allen offers 10 diamond shapes and a huge selection of ring setting options (over 500) in all materials. You'll also get to view each setting in stunning 360-degree detail, so you can see what the ring will look like from every angle. The website is also easy to navigate. You can start with a loose diamond or a setting. Let's say you decided to choose a setting first. The website will then lead you to the next step by showing you diamonds that fit within that setting, so you don't have to worry about falling in love with a stone that doesn't work with it.. In addition, you might find it helpful to shop for the matching wedding ring. If you get stuck, you can get a Real-Time Diamond Consultation with an expert any time of day. This diamond pro can advise you as you consider your options. Has the same characteristics (carat, cut, color, clarity, fluorescence, table & depth percentage, symmetry, etc.). The competitor diamond must be available for purchase to the public. It must have a GIA grading report. 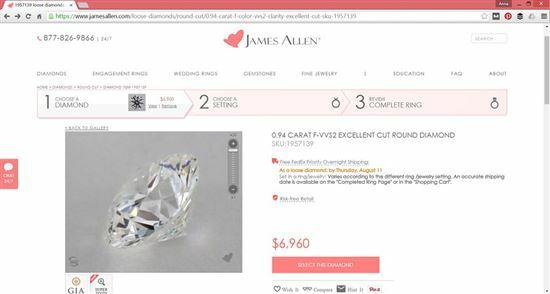 If James Allen decides to match the competitor's price, it will honor the new price for 48 hours. Their inventory is sourced from local diamond suppliers, so it's not as large of a selection as Blue Nile's, but it's not lacking either. But in our opinion, whatever diamond shape you're after, there are still plenty to choose from at all qualities and price points, including colored diamonds. The biggest downside is that if you're looking for a high quality, super ideal cut diamond, the selection isn't as good. In that case, you may be interested in Whiteflash, the next retailer on our shortlist. You can shop with confidence because of James Allen's 360-degree HD videos of every diamond. It might have a smaller diamond inventory, but it makes up for that with a greater selection of settings in a wide range of materials. If brilliance is your top concern when looking for an engagement ring, then Whiteflash is a good place to check out. Whiteflash is known for its world-class A CUT ABOVE® super ideal cut diamonds. Bigger is not always better. Too many jewelers sacrifice a diamond's potential by opting for a bigger diamond with a poorer cut. But cut is the most important C of the 4C's, which means a well-cut diamond can appear bigger, shinier, and better at hiding any imperfections. Whiteflash is one of the few stores that really puts the emphasis on cut. Their A CUT ABOVE® diamonds have been cut and polished to the ideal angles and proportions for maximum brilliance. Every single of these diamonds is certified by the AGS Laboratory as Triple Ideal (the highest rating possible in light performance, polish, and symmetry), and they go through a series of further evaluations by Whiteflash's own experts. Only diamonds that pass all the requirements are branded as A CUT ABOVE®. Whiteflash is completely transparent about the quality of their diamonds by providing an exceptional amount of data for every in-house diamond. This goes way beyond the 4Cs. Along with actual photos and video, you also get light performance images (which show the amount of light leakage) and hearts and arrows patterning (which shows symmetry). It's very rare for a diamond seller to give out this much information. The images speak for themselves, so you can feel confident about what you're getting. Tip: If the A CUT ABOVE® diamonds are out of your price range, Whiteflash also offers Expert Selection and Premium Selection. These are the diamonds that didn't quite make it into the A CUT ABOVE® line. Because Whiteflash's requirements are extremely strict, even small reasons could put a diamond into these other categories. This is where you can really find a high-quality diamond at a great value. Whiteflash's in-house diamond inventory is limited to only round or princess cut diamonds. If you'd like another shape, Whiteflash has a wider selection of virtual inventory sourced from partner vendors. However, you won't get an actual photo or imagery for in advance with these diamonds. If you do select one of these diamonds, it will still go through Whiteflash's expert evaluation and imaging before being sent to you. Keep in mind that the skill and precision required to actually make super ideal cut diamonds means they're more expensive. You may be tempted to go over budget once you get started looking at those perfect rocks. Whiteflash's super ideal cut diamonds will appeal to the elite shoppers as their standards are exceptionally high. Whiteflash offers the very best in cut and the imagery to prove it. Blue Nile is a huge, mega-online diamond jewelry giant that you've probably already heard about. It offers the biggest selection of diamonds at some of the lowest prices. Blue Nile gets its absolutely huge inventory by signing exclusive contracts with diamond wholesalers all around the world. Not only are their diamonds sourced worldwide, other retailers aren't even allowed to sell them. They have dominated the market. This also ensures that you get the lowest prices. In fact, Blue Nile offers a lowest price guarantee. If you see a lower priced diamond with the same specs somewhere else, Blue Nile will match the price. Tip: Keep in mind that Blue Nile's Diamond Price Guarantee is only available before you make your purchase. Blue Nile's huge inventory means that a search for a diamond with your specifications will easily pull up hundreds of options. 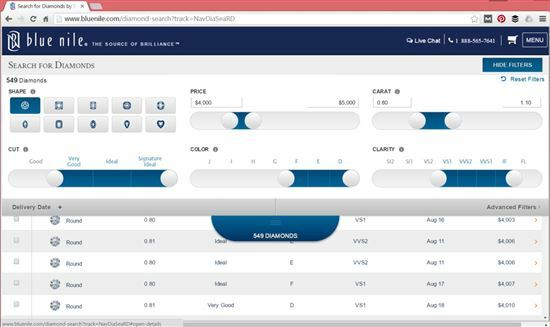 The website is easy to use, with slider bars for adjusting your criteria. This simple search pulled up 549 diamonds. Blue Nile offers ten diamond shapes and a decent selection of settings. It also offers a wide range of gemstones and fancy colored diamonds, so you can design something really unique if you're so inclined. Blue Nile also has a large Signature Collection of their super ideal cut diamonds and a selection of designer rings. If you have a very specific style and budget in mind, you're bound to find something to your liking in Blue Nile's vast selection. Blue Nile has recently made huge strides to improve its online shopping experience, so there is very little downside now. It used to be that you purchase without any photos, but now most of its diamonds have a 360-degree video preview. Some are still sold only by the specs (just the 4C's and the GIA Grading Report), but there are so many diamonds with videos that there's no reason to purchase blind anymore. Blue Nile offers an unbeatable selection with attractive prices. It's great that there are now actual videos of the diamonds so you longer have to purchase blind. Diamond buyback: Diamond buyback program through Mondiamo for current market value. Anywhere without certified diamonds: Make sure you understand which lab the retailer certifies their diamonds with and that they provide a certification with the diamond. You should be able to see and read the certification of each diamond on the website. We recommend GIA or AGS certificates, as they are the two most trustworthy labs with consistent standards. Anywhere without a clear return policy: Never buy from a store that does not have a 100% no-questions-asked return policy within a reasonable time frame. You don't want to get stuck with a ring if it's not what you expected or for whatever other reason. Anywhere without a GIA Graduate Gemologist on staff: You want to buy your diamond from a store with trained professionals. A GIA grad can correctly evaluate a diamond and help you make the best decision. A place that doesn't have one is not legit and won't be able to help you. Anywhere that only sells mounted diamonds: There is very little flexibility when your only options are already set whole rings. With loose diamonds, you can pick the perfect diamond that matches your specifications. Already mounted rings can make the diamond look better quality than it really is, which means you may overpay. I'm worried about buying online without seeing the actual diamond. Any tips? We understand. James Allen and Whiteflash both let you view the actual diamond you'll purchase. Blue Nile does not. With James Allen, each diamond is in 360 degrees in an HD video, so you can see for yourself if it's eye-clean. You can also request Idealscope images from James Allen. They provide Idealscope images (to help you examine light performance) for free for up to 3 diamonds. Whiteflash provides light performance imagery, so you can see how the diamond performs. I want to custom design the perfect engagement ring. I have a sketch in mind. Who can help me with that? All three retailers will work with you to custom design the perfect ring from your sketch or simply an idea. Of course, you will have to purchase the diamond from the store. I don't want a diamond. Where can I shop for gemstone engagement rings? If you're looking for a gemstone, James Allen offers a huge selection. And just like with their diamonds, you can browse for gemstones and view each one in HD 360 degrees. Where can I buy colored diamonds online? Both Blue Nile and James Allen have a large selection of rare colored diamonds. But keep in mind that you only get a sample photo at Blue Nile, while James Allen lets you view the actual diamond in HD video. I'm looking for a designer ring. Any recommendations? Whiteflash offers a large selection of brand name designer rings with designs by Tacori, Verragio, Simon G., Vatché, Ritani, and Danhov. James Allen offers brand name designer rings by Danhov, Jeff Cooper, Martin Flyer, and Verragio. 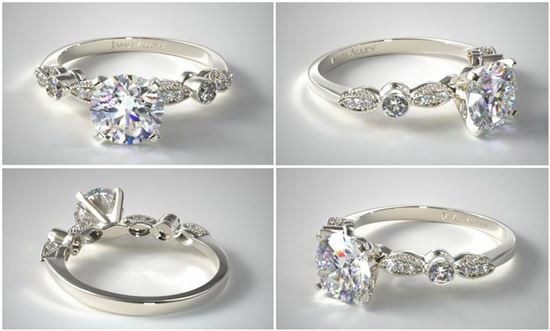 Blue Nile offers rings by Monique Lhuillier, Colin Cowie, Truly Zac Posen, and Blue Nile's own designer studio. Why are ideal cut diamonds worth it and where can I get one I can trust? Ideal cut diamonds are cut and polished to the most ideal proportions to give off the most brilliance and fire. This is extremely hard to achieve. For true ideal cut diamonds, it's hard to beat Whiteflash's A CUT ABOVE® diamonds. And the most important thing is that Whiteflash provides you the imagery to prove the quality of their diamonds. I have a diamond already. Where can I go to just find a ring setting? Both James Allen and Whiteflash can set a diamond you already have in one of their settings. Whiteflash requires that the diamond is either GIA certified or AGS certified. Some special cases may require a mounting fee, so check with a rep. I have a setting already. Where can I go to get a diamond for it? Whiteflash can set one of their diamonds into your own ring setting for a $100 mounting fee. Where can I buy loose diamonds? Most online diamond jewelers will sell you loose diamonds. 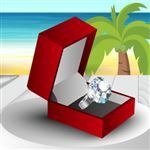 For instance, you might want to buy a loose diamond online and have it placed in a custom setting by your local jeweler. This can allow your fiancée to pick the setting she wants while still allowing the diamond to be a surprise. I need a setting in rose gold band. Which site has those? James Allen and Whiteflash both have a large selection of rose gold settings. Though if you're more on a budget, James Allen is a better bet. All three retailers offer engraving. James Allen offers it for free, while there is an engraving fee with Blue Nile and Whiteflash. Before you engrave that ring, please note that Blue Nile engraved rings can only be returned for credit. James Allen and Whiteflash engraved rings can be returned for a refund. Which diamond stores offer discounts? Blue Nile and James Allen offer a 1.5% discount if you pay by bank wire transfer. Whiteflash offers a 3% discount for wire transfers but note that some designer settings are not eligible for this discount. That being said, we generally recommend that you pay with a credit card to get the various purchase protection benefits offered by credit card issuers. Plus, when you pay with a cash back or airline miles credit card, you'll earn rewards that you can use toward your honeymoon. Which diamond jewelers offer a price match? Blue Nile offers price matching, but there are strict terms. The competing diamond must be GIA certified or AGS certified and must match on all of the 4Cs. Other criteria may be compared too, such as symmetry, polish, and fluorescence. I want a big diamond, but how can I save money? Diamond prices increase significantly as they hit whole carat weights. To get the best deal, look for a diamond just slightly under whole carats. A .90 carat diamond is significantly cheaper than a 1 carat diamond. This is only a difference of 0.2mm (the thickness of a piece of paper). Likewise, a 1.90 carat is cheaper than a 2 carat diamond. Consider opting for a diamond just shy of the next weight category. Why are round, brilliant diamonds more expensive? Round, brilliant diamonds are the most popular shape and their price reflects the higher demand and higher costs. A fancy cut diamond may offer more bang for the buck since there's less manufacturing waste, but a round diamond's brilliance is hard to beat. What if I want to sell my diamond ring? Don't treat your diamond like an investment. While a diamond is valuable, it's unlikely you'll recoup the emotional value associated with the diamond when it comes time to sell it. If you're looking to make an investment, we recommend you consider investing in stocks. Which diamond retailers collect sales tax? Unlike a local brick and mortar, an online jewelry store usually only collects sales tax in certain states. Which store is the best for buying a diamond ring online? Blue Nile has an unbeatable selection, so no matter your budget, you will find something that works for you. Or you can design the perfect ring on James Allen and view it from every angle. And if you know your sweetie has discerning tastes, you can't do better than a true hearts and arrows diamond from Whiteflash. Ultimately, the best store for you is the one that you feel most comfortable with and offers what you're looking for. Before you buy, you should visit all three retailers: Blue Nile, James Allen, and Whiteflash. Buying the perfect engagement ring is a huge purchase, so you want to feel confident throughout the process. And don't forget the wedding ring. 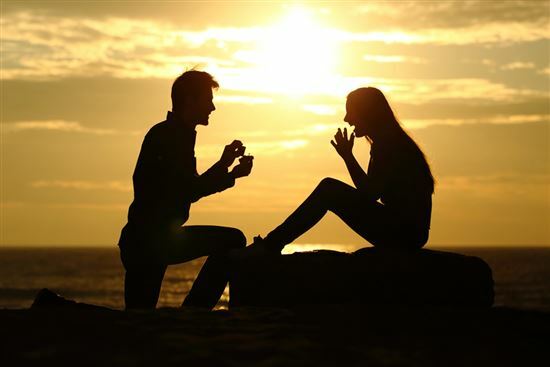 Share on Facebook "Study: Best Place to Buy Engagement Ring Online"